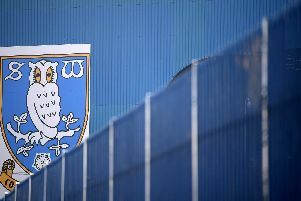 Sheffield Wednesday captain Tom Lees says moving to Hillsborough from Leeds United changed his life as he celebrates making 200 appearances for the Owls. The defender reached the landmark tally in a blue and white shirt in Tuesday night's 3-0 win over Nottingham Forest, with his former club Leeds lying in wait for the Owls in Saturday’s Championship match. Lees joined Wednesday in 2014 for an undisclosed fee and since that time the 28-year-old says he’s loved every minute. Speaking to the media ahead of the trip to Elland Road, Lees said: “I have loved it, it has been great. “It has changed my life and I have loved it since I walked through the door it has been brilliant. “I couldn’t have asked for it to go any better and to get 200 games in less than five seasons I am really happy with that because you put a lot into being able to achieve that, being fit and healthy and looking after yourself. “I am just trying to help the club which has been the same since I got here. Wednesday will need to beat automatic promotion chasing Leeds if they are to keep their faint play-off hopes alive, and Lees is in no doubt that it will be a tough task. “It will be difficult, I said after the Villa game it will be difficult. Other clubs are relying on us to slip up like that and drop points. “It’s going to be tough but we’ve still got a chance and we’re one of a number of clubs that have got a chance. “People probably didn’t expect us to be at it like we were on Tuesday and that’s credit to us. “The main thing is showing we can compete with the top teams in this division and in this last nine or ten games of the season we are going to have to do that. “It’s a good gauge of where we are at. You don’t want to lose games and the Villa game is still a disappointment even though we played well. The honours were even in the reverse fixture at Hillsborough earlier in the season as wonder goals from Adam Reach and Mat Klich meant the two sides could not be separated. Wednesday are much improved since that visit and are bolstered by a record of just two league defeats since the start of 2019. “I think we can definitely be a match for them and give them a good game because I think we have improved a lot since we played him last time,” Lees said.